Hammers Tattoo and Body Piercing Inc. is very proud to be presenting the second Canton Tattoo Classic. With the success we had in October 2010, we have decided to do it again. With the hope to keep doing the convention biannually or maybe even annually. 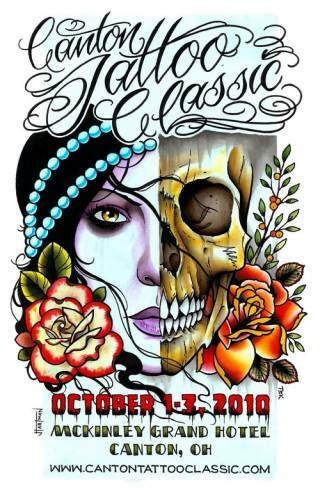 We very much hope to see everyone who attended the Classic in 2010, as well as a host of new faces. As information becomes available, it will be posted to the site. Keep watch, we expect to have some very interesting announcements soon. For any questions or comments you may reach us by email or by phone, when calling please ask for Lance or Jim. Thank you for taking your time to read about the Canton Tattoo Classic. We hope to see all of you there for what should be a very good time.